Thomas Edison is still considered one of the greatest inventors to ever live.Inventions that he is credited with include the phonograph, the motion picture camera and the light bulb. Thomas Edison was talented but was also savvy. He was able to secure close to 1100 patents in his name during his lifetime. He also was able to bring productivity and financial backing to support his many inventions. From his beginnings he developed a way of thinking that was unique for the era in which he lived and worked. As related to the War of the Currents, Edison developed DC electricity which became the standard in the US in those days. The problem with direct current (DC for short) is that it is not easily converted to higher or lower voltages. Nikola Tesla invented, predicted or contributed to the development of hundreds of technologies that play big parts in our daily lives today. Examples of some of these technologies his genius touched include neon, remote controls, wireless transmission, engines, computers, and robotics. 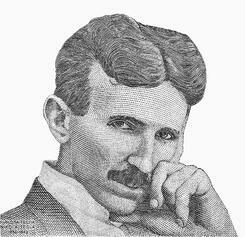 In addition, Tesla directly developed alternating current, the basis of our present-day electrical system. As related to the War of the Currents, when it came to electricity that could be converted to higher and lower voltages, Tesla believed he had the solution to the problem Edison’s direct current was encountering in practical application. AC electricity, which Tesla developed, can be converted to different voltages using a transformer. 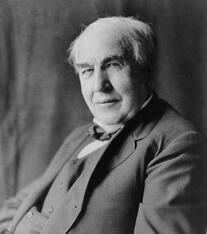 Because Edison did not want to lose royalties from his DC patents, he tried to discredit alternating current. 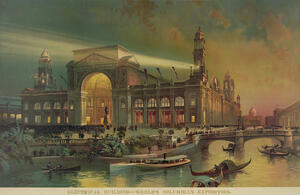 But then in 1893, the Chicago Worlds Fair was about to open. General Electric bid to electrify the fair using Edison’s DC power. But they lost the bid to George Westinghouse, who licensed Tesla’s polyphase AC induction motor patent to electrify the fair. That same year, Niagara Falls Power Company awarded Westinghouse the contract to generate power from Niagara Falls. Westinghouse proceeded to light up all of Buffalo from Niagara Falls using Tesla’s alternating current. Alternating current basically took over for Direct Current from that point on. However there are still applications where DC is the preferred power source, even today. Although Thomas Edison is viewed as the greatest American inventor, Nikola Tesla was a genius whose ideas and inventions are utilized even today. Both inventors were key players that changed lives with their genius. Who do you believe is the better inventor?